Too many tourists skip through Serbia in just a few days, thinking there’s not much to see outside of the capital. 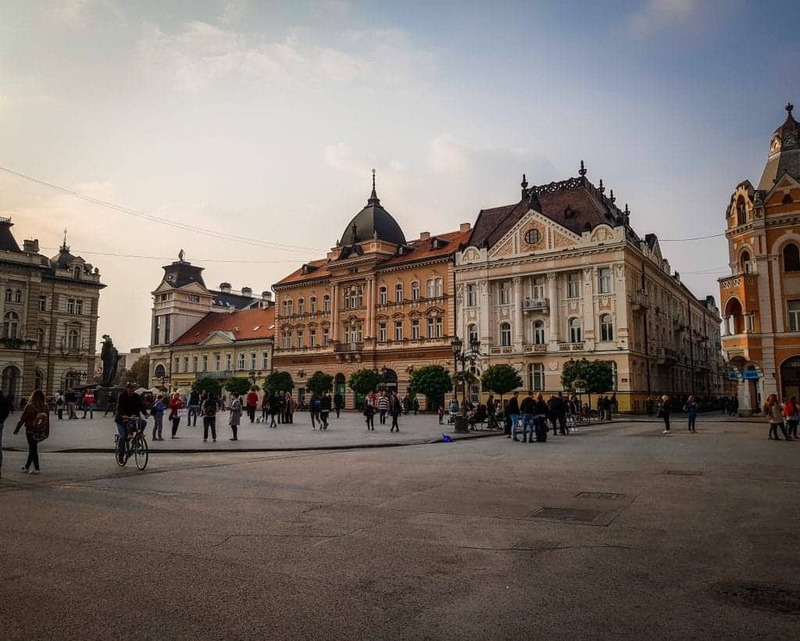 Maybe they add a day in Novi Sad or Novi Pazar, but we find that so many travelers want to spend as little time as possible in the country before moving on to Croatia or Bosnia. We think this is an absolute shame! After spending about two months exploring Serbia, we can safely say that there’s enough to see and do in the country to last for years. However, we understand that travelers typically don’t have months to spend in one place, so here is a list of our favorite towns and cities in Serbia to help you narrow down your Serbian itinerary. We absolutely adore Belgrade! While it’s unlikely you’d miss it on your trip to Serbia, we find that the biggest mistake travelers make when planning a trip to Belgrade is to not give themselves enough time to explore and enjoy the city. Between everything there is to do in Belgrade from Stari Grad to Novi Beograd, from the Eastern to the Western City Gates, you need at least three days to do the city justice (although we don’t like to go if we don’t have at least a week!). 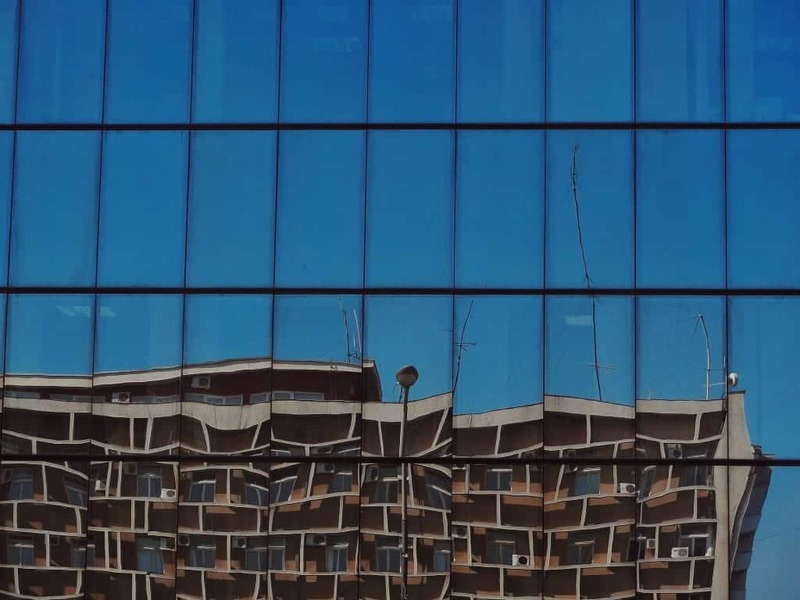 You can use Belgrade as a great home base for exploring some of the other cities on this list, as many of them make great day trips from Belgrade. Or you can come to the city to relax and enjoy this charming Serbian capital for a few days. Just don’t think that one or two days will be enough, as there are literally hundreds of things to do, eat, drink, and experience in this amazing city. The second largest city in Serbia and the largest city in Vojvodina, Novi Sad is set to be the European Capital of Culture in 2021 and was listed #3 on Lonely Planet’s list of cities to visit in 2019. 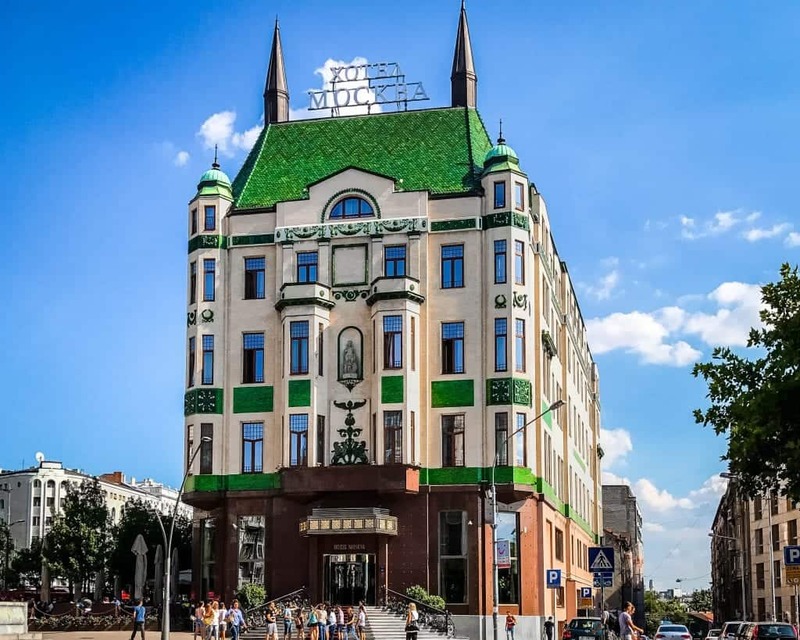 If that doesn’t convince you that you absolutely must stop in Novi Sad, then hopefully the colorful architecture and beautiful squares will. Make sure to cross the Danube to see the Petrovaradin Fortress, nicknamed the “Gibraltar on the Danube” which offers gorgeous skyline views of the city complete with the blue Danube in front of it. Highlights of a trip to Novi Sad include visiting the “Cathedral,” the Old Synagogue, and Danube Park. 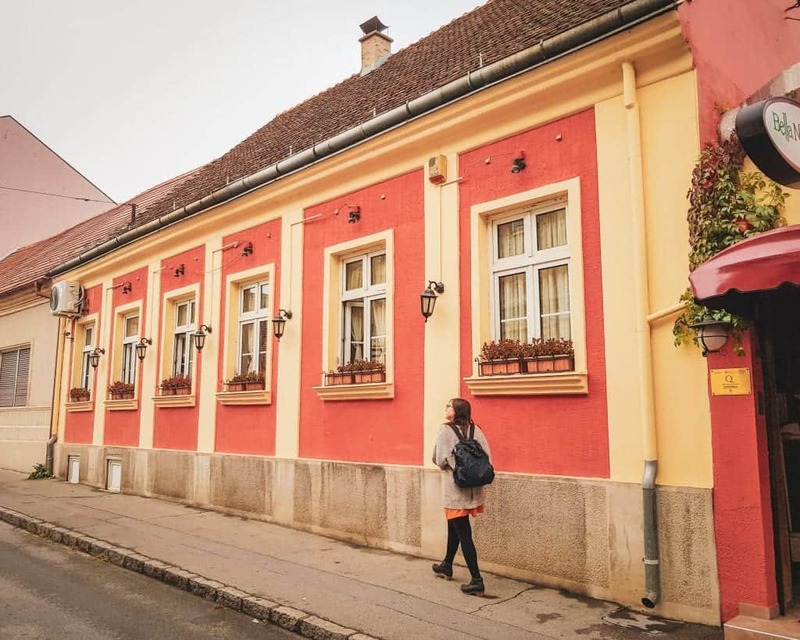 While you can visit Novi Sad on a day trip from Belgrade, there’s enough to do here that you can also use this as a base for a few days, enjoying more of the city and exploring neighboring Subotica and the Fruska Gora region from here. 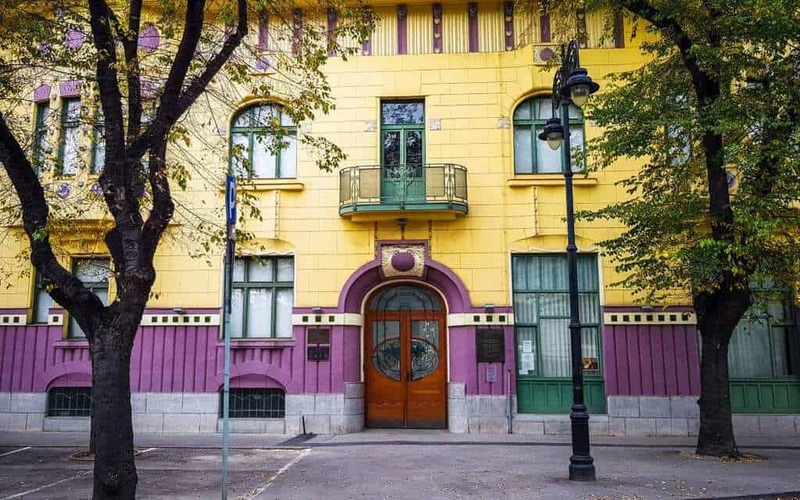 Subotica is an art nouveau lover’s dream come true. Before my last trip to Serbia, I’d never even heard of Subotica, but now I have no idea how the town isn’t crawling with tourists. It’s so lovely, full of art nouveau buildings and baroque churches and cathedrals. Sitting in far northern Serbia only 10 km from the border with Hungary, the culture here is a mix of Serbian, Romanian, and Hungarian. You can find Hungarian street food in the town square and the Hungarian language sitting next to Serbian on the street signs. Honestly, this town just might be the most charming place in the Balkans. We visited Subotica as a day trip from Belgrade. Driving in Serbia is surprisingly pleasant, with great roads and signage, so the trip was an easy one to make. However, you can also visit Subotica from Novi Sad or even Budapest since it’s halfway between Budapest and Belgrade. Keep in mind if you visit in a rental car from Hungary, you’ll need to arrange ahead of time with your rental company to get the green card to take the car into Serbia. Another seriously enticing option is to stay for a few days. 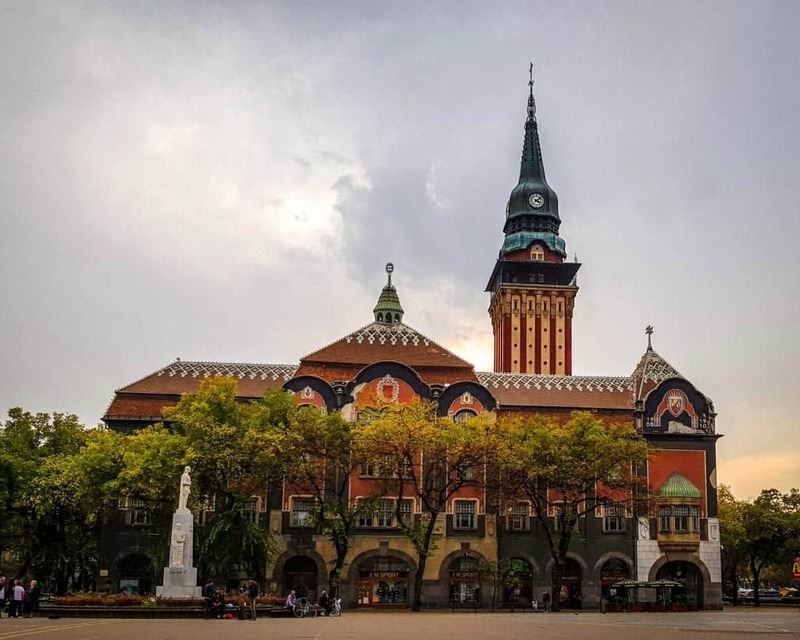 Three or four days in Subotica would give you two days to explore and savor the town, plus a day to visit Lake Palic and enjoy other outdoor activities. A frequent stop for travelers going from Sofia to Belgrade, Niš is the third largest city in Serbia. While the pedestrian areas are lovely and the Niš Baths are a highlight for many, Niš has become a popular stop for fans of dark tourism. The Skull Tower, leftover from the first Serbian Uprising, displays the skulls of rebels who fought against the Ottoman occupation. 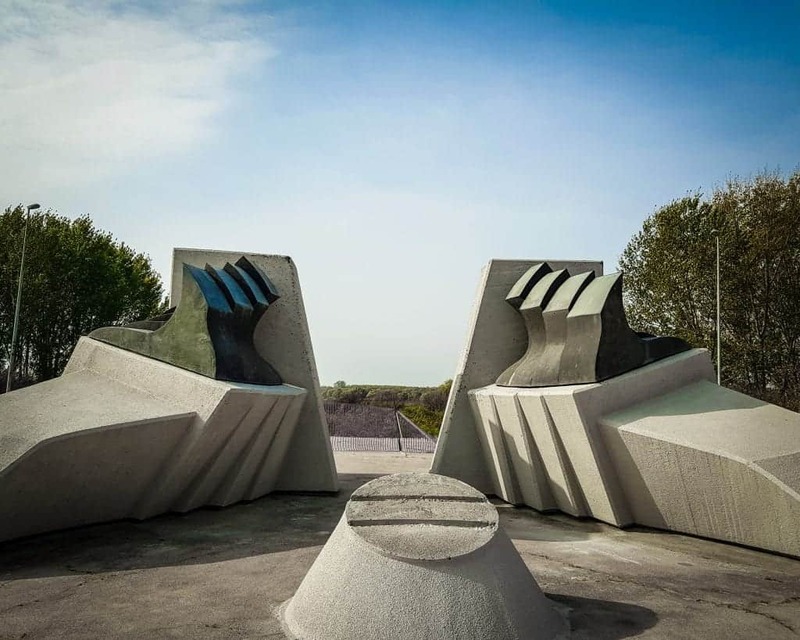 There is also the remains of a Nazi Concentration Camp, which you can visit along with nearby Bubanj Memorial Park, one of the Yugslav spomeniks built to commemorate the victims of the camp. Note, photography at the camp and the memorial park are allowed, but please don’t do yoga poses or be super Instagrammy here, these are memorials to Holocaust victims and should be treated with respect. You may think that doesn’t need to be said, but it does. 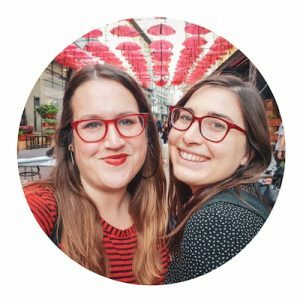 Neither Allison nor I have gotten to spend much time in Niš, so I don’t want to make a recommendation about how much time is enough to see everything. We both have long lists of things to do in Niš we want to accomplish before we feel ready to create a Niš itinerary but know that we have found brief visits of less than twenty-four to not be enough time. The famous Sopocani Monastery, just a thirty-minute drive from Novi Pazar. Many visitors (myself included) also use Novi Pazar as a base from which to explore Stari Ras and Sopocani, one of Serbia’s five UNESCO World Heritage Sites. The site is a serial site consisting of four locations. Holy Apostles St Peter and St Paul Church (St Peter’s Church) is located within the city proper, while three additional sites are all reachable by taxi. The highlight for me was Sopocani Monastery, just thirty minutes outside of Novi Pazar. When I visited there were not many tourists, even though I was there in the height of summer. It was a quiet, spiritual place to explore and reflect. And of course, to appreciate the monastery’s history! Studenica Monastery is also quite close to Novi Pazar and is on the UNESCO list as well. You can see most of Novi Pazar in one day. I suggest staying for two days if you also want to see all three spots from the UNESCO site outside of the city as well. The colorful sights of Sremski Karlovci include this gorgeous scarlet and yellow high school. The village of Sremski Karlovci, another highlight in the Fruska Gora region of Vojvodina, is a small town but full of gorgeous architecture. Plus it’s here that the secret to bermet is held closely by a few families that have been making this Serbian dessert wine for hundreds of years. (Bermet is so delicious that both Allison and I purchased bottles at the winery we visited here to take back as our Serbian souvenirs). Other highlights include the delightful town square, which was picture perfect yet relatively free of tourists during our visit, and the bright yellow Lady of Peace Chapel on the edge of town. We visited the Sremski Karlovci as part of an organized day trip from Belgrade that included tastings at a local winery and the monastery of Krusedol. While we only got to spend a few hours there on this trip and Allison has visited in the past, this charming town could easily be a day trip unto itself if you want to visit more wineries. We were delightfully surprised by how much there is to do in Kragujevac! Kragujevac is an interesting city in Serbia and one that is often overlooked by most travelers. Allison will admit that before going there, she thought it would be a small city with not much to see – so imagine her surprise when she realized she was in the fourth-largest city in Serbia. 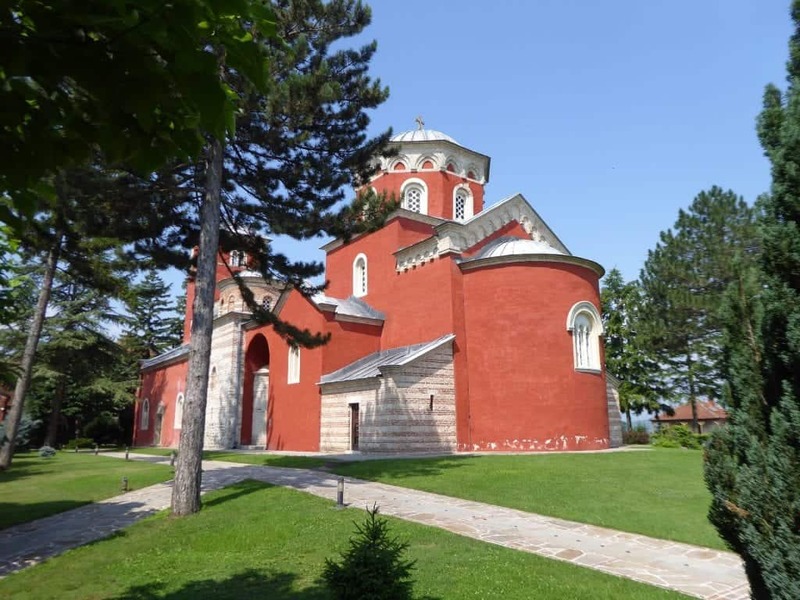 Kragujevac itself doesn’t have a ton of attractions but it is an interesting Serbian city to see, and you shouldn’t miss the Old Church (Stara Crkva), the new red Orthodox cathedral in the heart of town, the pedestrian walking areas with its many kafanas, and Upper Park. While Kragujevac is charming and interesting on its own right, the most relevant thing for travelers is the Šumarice Memorial Park. Here, you can find the excellent October 21st Memorial Museum, a red-brick museum giving context to the Memorial Park and recounting the tragic massacre on October 21st, 1941. On this day, Nazis murdered somewhere in between 3,000 and 7,000 Serbian civilians as retaliation for a clash with Serbian soldiers during the occupation. 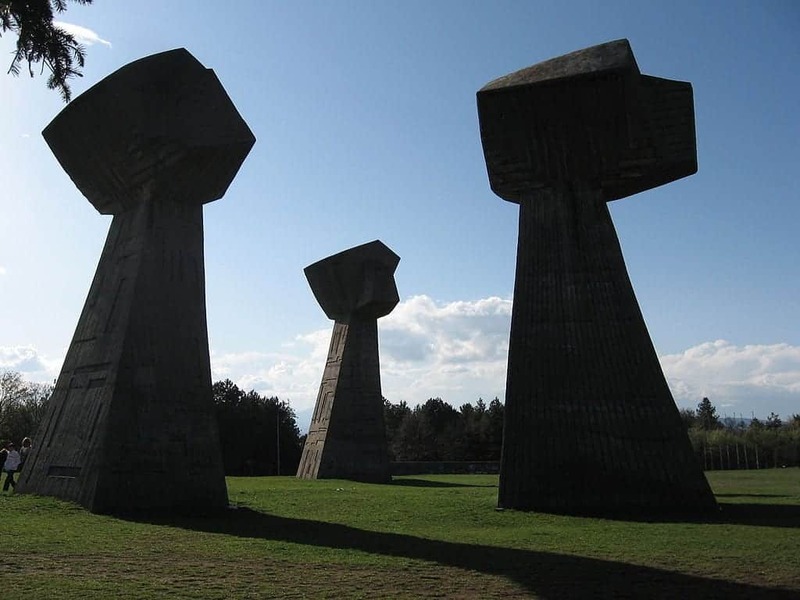 The Šumarice Memorial Park is composed of a driveable circuit of some dozen or so monuments (also called spomeniks) that testify to the loss and resilience of the Serbian people. There is also a beautiful lake in the park that is worth visiting, as well as a pleasant lake-side restaurant. Pančevo wasn’t on my list of places to see when I went back to Serbia, but while researching Yugoslav spomeniks, I found the entry for this monument on the edge of town. I’m very glad we decided to make the drive, however, as Pančevo is a lovely little town just a little way outside of Belgrade. Along with the spomenik, Pančevo is also the site of one of the oldest monasteries in Vojvodina, home to the NIS refinery which was bombed by NATO in 1999, and the famous Vajfert’s Brewery. We were only able to visit Pančevo for about an hour since we stopped by on our drive to Subotica, but I have this town high on my list to go back and explore for a day or two. I have my heart set on visiting some of the beautiful churches that I was only able to see from the road, along with the Museum of Naive Art nearby. Here’s a great itinerary if you want to visit Pančevo for twenty-four hours. Famous for skiing and other winter activities, Zlatibor is a mountain town in western Serbia near the city of Užice and close to Serbia’s border with Boznia and Herzegovina. Many visitors come to Zlatibor via the Sargan Eight train from Belgrade to Mokra Gora, which is considered one of the most scenic train rides in the Balkans. 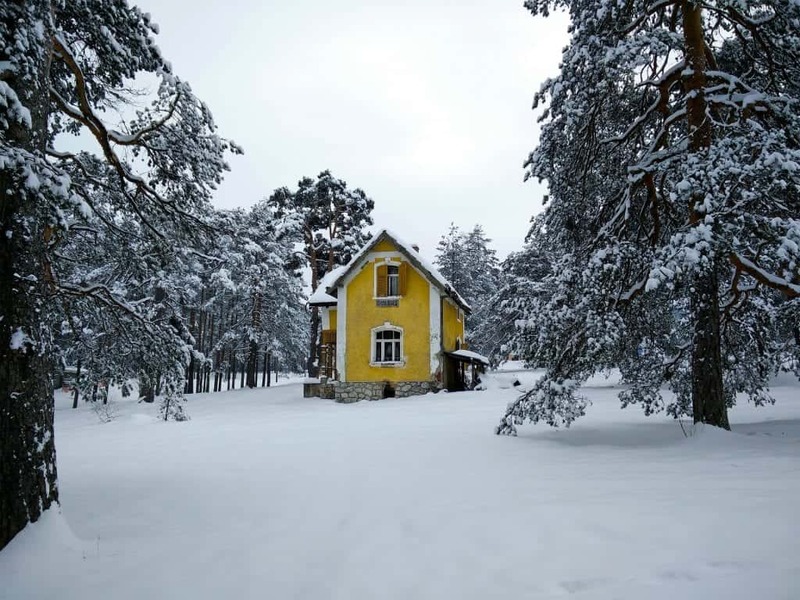 Travelers have been coming to Zlatibor since the end of the nineteenth century when the King Aleksandar Obrenović established a health resort in the area due to the fresh alpine air. If you’re looking for a Serbian souvenir from your trip, the region is famous for Sirogojno sweaters, produced in the Sirogojno village outside of Zlatibor. If you’re coming to ski or enjoy the mountains, you’ll want to give yourself time to also enjoy the villages. I haven’t taken the Sargan Eight train yet, but I anticipate going from Sofia to Belgrade and then taking the Sargan Eight next year. 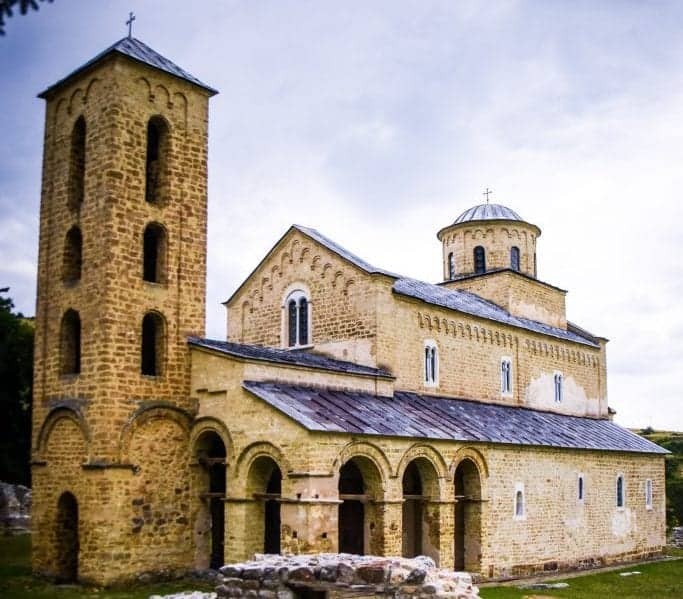 Žiča Monastery is just a fifteen-minute taxi ride from the center of Kraljevo! Kraljevo is a transportation hub in southern Serbia, and anyone trying to get from Serbia to Kosovo will most likely spend a few hours here. What you can’t tell from the bus station is just how beautiful Kraljevo can be. Žiča Monastery is just fifteen minutes from the center of town by taxi. Maglič Castle and the aptly named Valley of Lilacs are also gorgeous spots worth seeking out on a visit to Kraljevo. If you want to stay strictly within the city limits, make sure to see Holy Trinity Cathedral. The city is important historically as the spot where medieval Serbian kings were crowned, and it has earned the nickname “Valley Beloved by the Kings.” It’s hard not to love a spot that boasts such natural and architectural beauty. And for those looking to relax, Mataruška Banja is a mere 8 km away. Too many travelers only stop in Kraljevo for a few hours between bus rides, but you’ll be much happier if you take a day or two to enjoy the city and its surroundings. Zemun is technically a municipality of Belgrade, but it was an independent city for so long that they do not like being considered just a part of the capital. 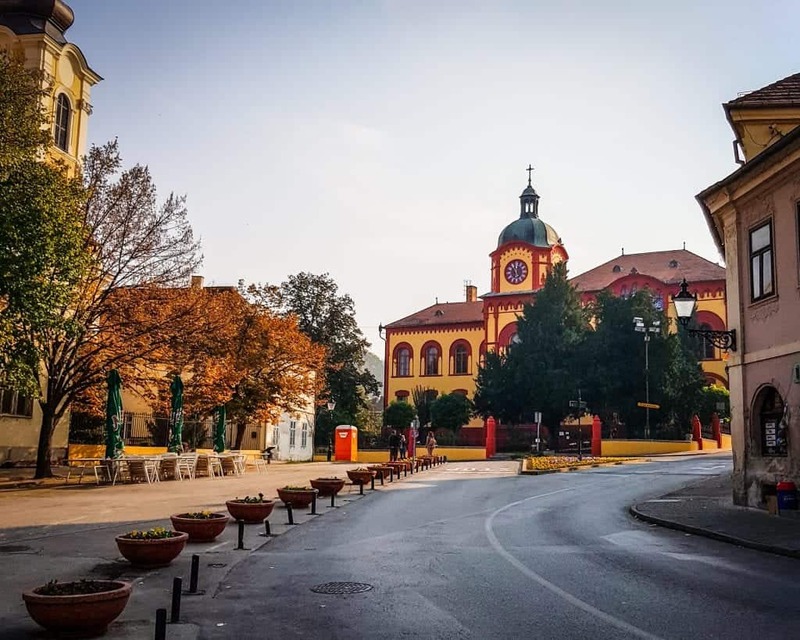 Controlled by the Austro-Hungarian empire, the architecture and culture of Zemun have far more in common with their neighbors in Vojvodina, Hungary, and Croatia than southern Serbia. Highlights of visiting Zemun include Gardos Tower, the town square, the Green Market, and the promenade on the Danube. However, everywhere you look you’ll see the gorgeous brightly colored houses that make Zemun such a charming corner of Serbia to visit (just don’t call it Belgrade!). I’ve visited Zemun twice, both times as day trips from Belgrade. If you want to stay in Zemun, however, there are tons of beautiful cafes and other places to visit when the majority of tourists make their way back to Belgrade. Not seeing Golubac and its famous fortress on the Danube is my biggest Serbia travel regret to date. 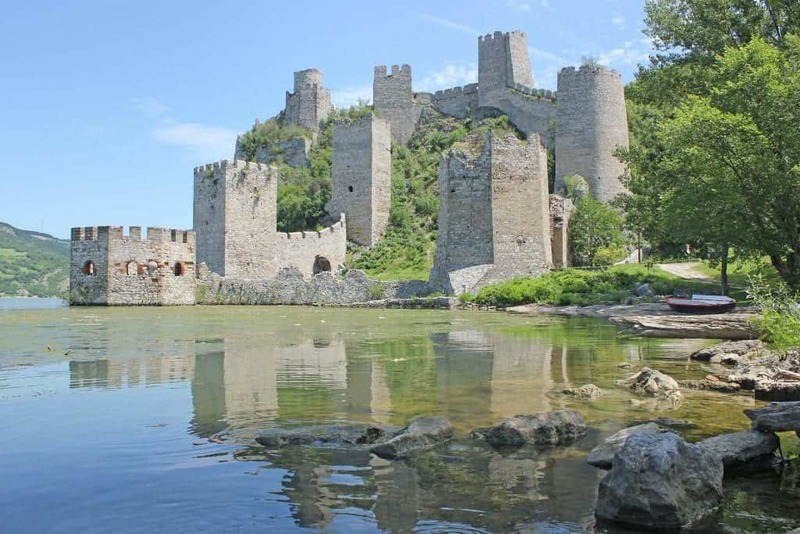 You can reach Golubac by bus from Belgrade or do an organized day trip to the city with a tour company. I don’t know anyone who’s staying in Golubac for a few days so I can’t speak to how long you want to be there if you visit overnight. My Serbian tour guide said that this is one of his favorite places to take travelers since it’s such a beautiful and impressive site. There are two other historic sites to visit in the area, but you will need a car if you want to do all three in a day. If you choose to rent a car and drive from Belgrade, read this primer on driving in Serbia. As soon as I make the trip out there myself, I will come back and update this post with everything I learn on my trip! Best done as a day trip from Belgrade, although if you want to stay in town overnight, the best is Apartment Nana. This UNESCO World Heritage Site has gorgeous views and friendly monastery dogs. Many people visit Studenica from Kraljevo or Novi Pazar, but did you know that you can actually stay here in Studenica near the monastery if you want to be one of the lucky visitors who come early enough to see it without tourists. 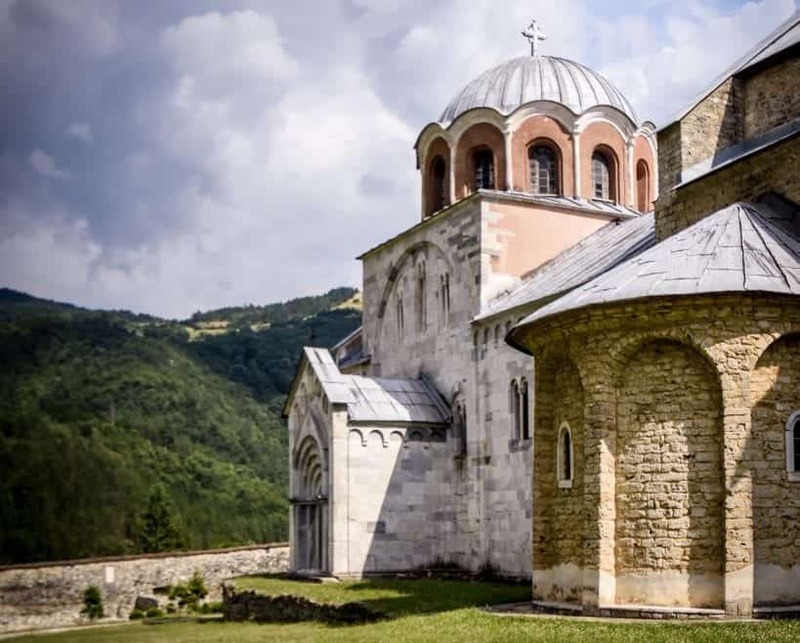 This twelfth century Serbian Orthodox Monastery is a UNESCO World Heritage Site, and it’s situated overlooking a mountain valley in a stunning natural setting. During my visit, I was completely in awe of the beauty of the setting, and I’ve seen dozens of other Orthodox monasteries throughout my travels! This is one of the truly beautiful ones and a serious can’t-miss while in Serbia. Whether you visit as a day trip from one of the nearby cities or stay in the neighboring town, give yourself enough time to appreciate the monastery and get to know some of the charming monastery dogs that the local priests take care of. They were super friendly and very well taken care of! I spent a few hours here, but it depends on your appetite for monasteries and if you want to stay overnight or move on to your next Serbian destination. Best visited as a day trip from Novi Pazar, as there are no accommodations nearby. Have you been to any of these towns and cities in Serbia? Planning a trip to Serbia soon? Leave your best Serbian travel tips and questions below!